Split pulses in India are known as Dal. Dried peas and beans have about the same composition as Pulses. In tropics, pulses are second only to cereals as important sources of calories and proteins. 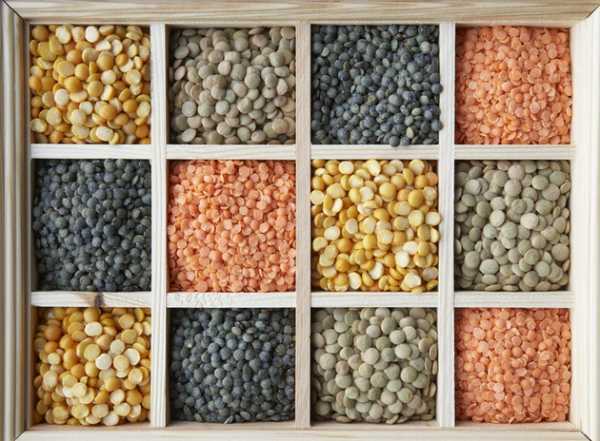 Bengal gram ( chana dal ), red gram ( tuver dal ), green gram ( mung dal ), black gram ( urad dal ) and lentils ( masur dal ) are the most widely consumed pulses in India. Protein The protein content of pulses is about 20% to 25% about twice as much as that of cereal's, making them the most economical source of proteins. When 100 grams of whole green pulse is sprouted, the sprouts provide 0.06 mg thiamine, 0.66 mg riboflavin, 1.5 mg niacin and 82 mg ascorbic acid. Other key nutrients provided by the pulse exchange are iron, vitamins of B group and dietary fiber which mainly comes from whole pulses. A very useful information, good work! The cereals are a healthy choice, without any doubt. There are so many advantages of Pulses. There are protiens and calories in it. I personally like to eat the pulses, particularly in lunch. We will contributing this particular alternate options designed for mission penning, today we have trained trainers. This entire guru will inside explore. These days follow-up Cash Advance Carson You’re able to call us at any time when at the same time you prefer with the positioning. Great details! Your thinking has been any good thing. My partner and I needed this type of write-up regarding my own papers and also I obtained the following. The submit acquired offered myself together with one more viewpoint with this matter. I needed simply no proven fact that items could work this way at the same time. Today just click here website backup Many thanks regarding revealing the point of view.